By now you’ve probably heard that The Art of Education University offers an online Master of Arts in Art Education program. This is a win for art teachers everywhere! You may choose to pursue a master’s degree for a variety of reasons. It might be a job requirement or part of your professional or personal goals. Whatever the reason, we want to give you a glimpse of what it’s really like to be an AOEU student. As an AOEU student myself, I’m going to give you an inside look! Can I Really Take Courses and Teach at the Same Time? Obtaining a master’s degree had always been a professional goal of mine. So, within my first three years of teaching, I completed an online program in Information Technology. One of my main motivators was to get paid more, and I knew this would benefit me more if I started early on in my teaching career. Fresh out of undergrad, I wanted to diversify my knowledge base, which is why I did not initially choose to get a master’s degree in art education. I enjoyed my program and learned a lot, but it felt like something was missing. While in my first graduate program, I took the Assessment in Art Education course through The Art of Education University as an elective. The dynamics in this class were different; it was like a breath of fresh air being in a class consisting entirely of art educators! The learning was so much deeper because we could truly identify with one another. Now, four years after that first course, I put in an application to begin working toward my Master of Arts in Art Education through AOEU. The Art of Education University is not like a traditional institution; it’s a University for Life. AOEU wants to provide lifelong and relevant learning throughout the entirety of an art teacher’s career. To help achieve this goal, there are several special benefits to being an AOEU student. When you’re accepted into the program, you’ll be assigned an Academic Advisor. Advisors at AOEU are experienced art teachers and course instructors so they are knowledgeable about individual courses and bigger-picture degree requirements. There will always be an open line of communication, and they will help personalize your degree by planning an individualized timeline, finding courses that meet your interests, and more. 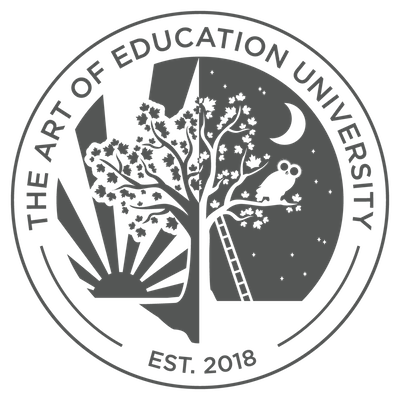 The Art of Education University is an institution for art teachers, by art teachers! When you enroll in an AOEU course, it’s not your typical experience. You won’t have to try to connect with the classroom experiences of a math or science teacher; you will be able to learn from other art teachers who understand what it means to teach art. One of the greatest things about taking a course designed specifically for art teachers is that everything is relevant to your classroom. Instead of trying to figure out how to apply strategies from other content areas, you’ll be able to take what you’re learning into your own art room right away. Every master’s degree student receives complimentary access to Art Ed PRO. Art Ed PRO is the only on-demand personalized learning platform designed exclusively for K-12 art educators. Not only will the AOEU master’s degree program help you grow professionally, but you can continue learning through meaningful professional development with Art Ed PRO. 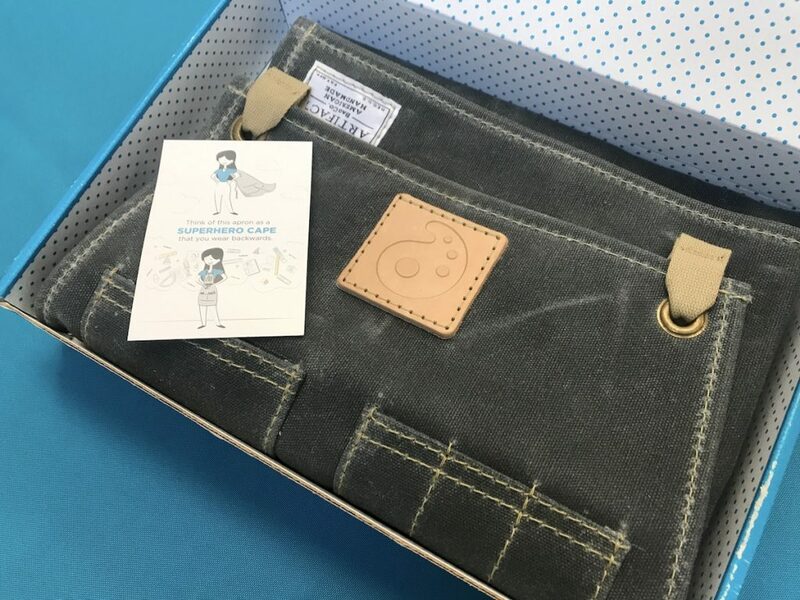 Finally, every AOEU student receives a special edition durable, high-quality apron designed by Artifact. Think of this apron as a superhero cape you wear backward. AOEU knows art teachers are amazing and sometimes you need a costume to make you feel it, too! After completing eight courses with AOEU, I can confidently say it is more than possible to complete courses while teaching during the school year. The AOEU master’s program is flexible, relevant, rigorous, and affordable. As a full-time teacher, working for several other companies, who coaches and sponsors after-school activities, I can attest that you can make this program work in your busy schedule. With courses beginning every month and only lasting eight weeks, you can plan your time accordingly. If you are planning a vacation or know a particular month is going to be extremely busy, there is absolutely no pressure to take a course. In this program, you have the opportunity to work around your schedule, not the institution’s schedule. Semesters don’t exist at AOEU; you are truly making decisions that work best for you. Continuing education shouldn’t be an added stressor to the already busy lifestyles of art teachers. Having an institution like AOEU which understands this idea is transformative for art teachers and in the field of higher education. If you’re looking to receive your master’s degree in a flexible and meaningful way, talk with the admissions team now to understand how the program can work for you! Do you have your master’s degree? What was your experience in your master’s degree program? 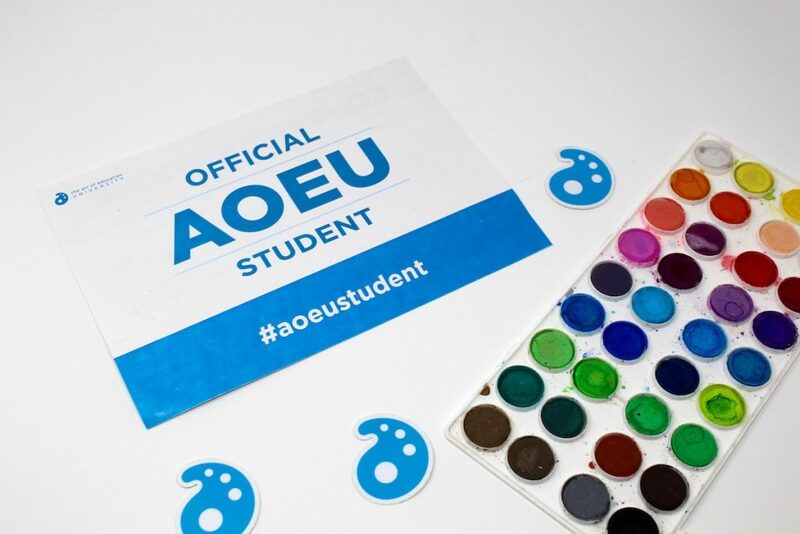 The post An Inside Look at What It’s Like to be an AOEU Student appeared first on The Art of Education University.